Commonly called and recognized as “water on the brain” Hydrocephalus is a condition in which the normal brain fluid causes pressure in the brain. Our brains normally produce fluid, called cerebrospinal fluid (CSF), every second of every minute of every day. We produce about a soda can worth of fluid each day. The CSF is produced in spaces called ventricles, and circulates around the brain and down the spine. It is also reabsorbed by the brain. The fluid “pads” the brain and spinal cord, circulates nutrients, and helps control pressure in the brain and spinal cord. Hydrocephalus results when this fluid cannot normally circulate (becomes blocked) in the brain or when this fluid is not absorbed correctly. The build up of CSF increases the pressure in the brain and can cause symptoms. This usually manifests with the ventricle(s) enlarging. Hydrocephalus can occur at any age. When something blocks the flow of CSF, we commonly call this “obstructive hydrocephalus”. 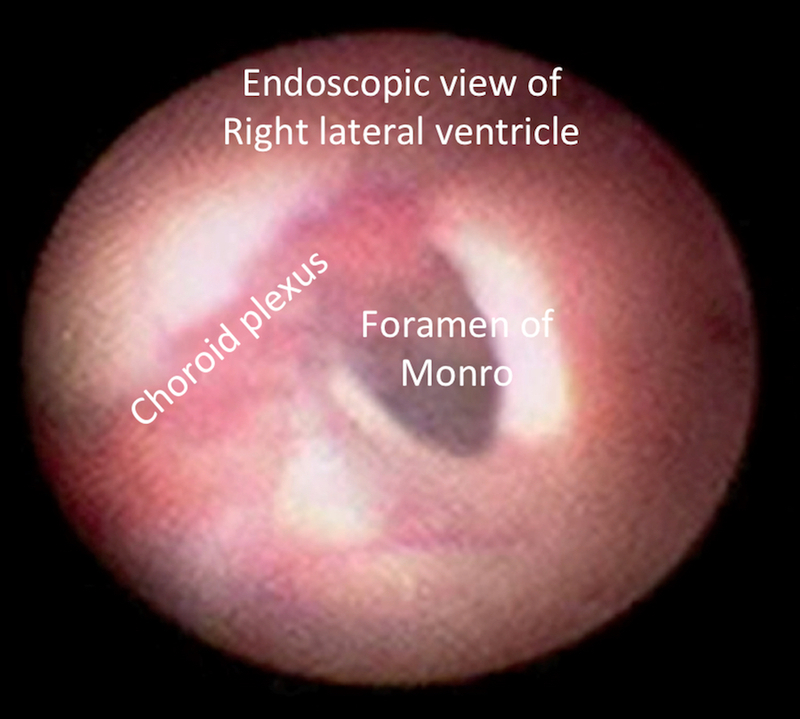 A cyst or tumor in the ventricles can block the CSF flow. Another common blockage site is the cerebral aqueduct, which sometimes is abnormally small since birth. When the CSF is not adequately absorbed, we commonly call this “communicating hydrocephalus”. Infection, a brain bleed, or other conditions can lead to “communicating hydrocephalus”. 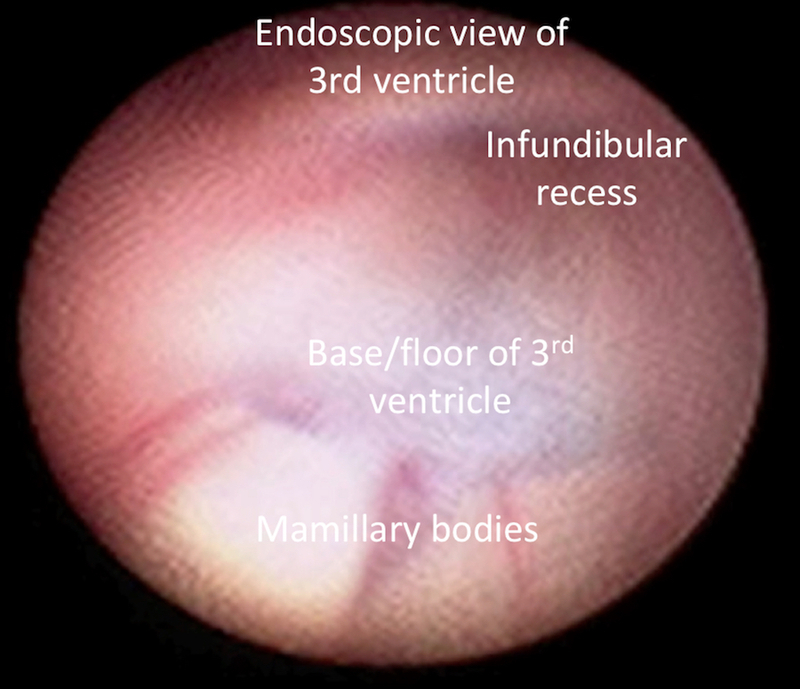 It is important to understand that an enlarged ventricle size does not always mean hydrocephalus is present. As we age, our ventricles can become enlarged without elevated CSF pressure. This does not always need treatment. Additionally, pressure can build in our brains without enlarged ventricle size. A condition called, “pseudotumor cerebri” occurs when increased pressure is present with normal or even small ventricles. Hydrocephalus is not always symptomatic. There are patients who have hydrocephalus for years, or even their entire lives, and do not seek treatment. However, untreated hydrocephalus can result in permanent neurologic problems. There are certain medications which can slow the production of CSF, but these medications cannot completely stop CSF from being produced. Hydrocephalus often requires surgery. “Communicating hydrocephalus” is a reabsorption problem. Currently we do not have very effective ways to improve reabsorption. Therefore the treatment of symptomatic “communicating hydrocephalus” is shunting. “Obstructive hydrocephalus” can be treated either by removing the blockage, or finding a new route for the fluid to pass. 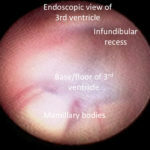 In the setting of a cyst or tumor in the ventricle, sometimes removing the cyst or tumor allows the CSF to normally flow again and resolves the hydrocephalus. Placing a catheter in ventricle and diverting the fluid into the belly or destination where the CSF can be absorbed. This is called “shunting”. Creating a new hole at the base of the brain, which can divert the CSF around the blockage site. 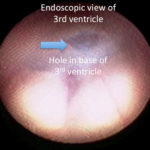 This is called an “endoscopic 3rd ventriculostomy” (ETV). 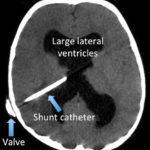 A shunt (shunting) involves placing a catheter through a small hole in the skull into the ventricle. 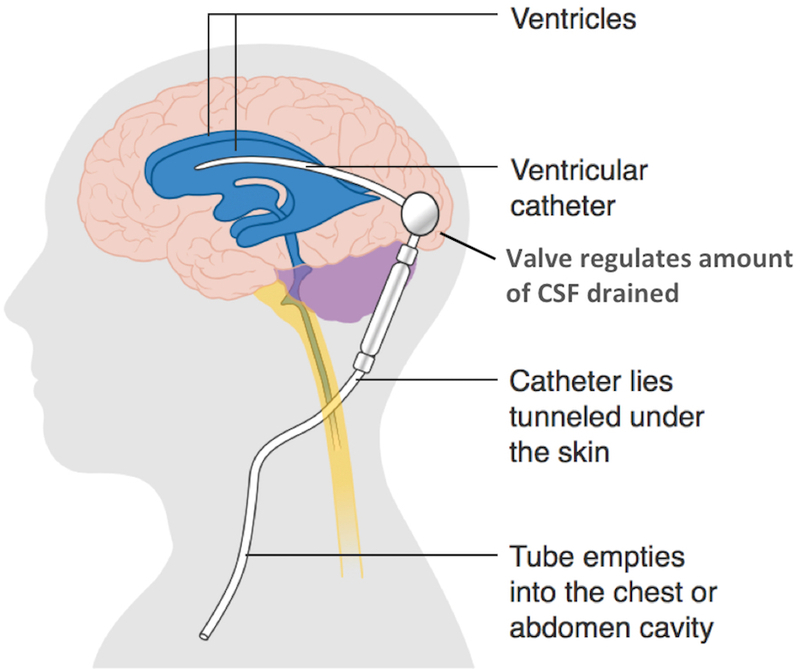 The CSF then drains through the catheter and resolves the pressure in the brain. A plastic valve regulates the flow of CSF, as we do not intend to remove all or too much CSF. The catheter then drains into another location, commonly outside the brain, which can also absorb the fluid. Commonly the fluid is drained into the belly (called a ventriculoperitoneal shunt). We can also drain into the heart, the lungs or other locations. The entire shunt is underneath the skin. Again, shunting can be used to treat any type of hydrocephalus, including “obstructive” or “communicating hydrocephalus”. Shunts can malfunction, either from the catheter itself becoming obstructed or disconnecting. Shunts may require revision. 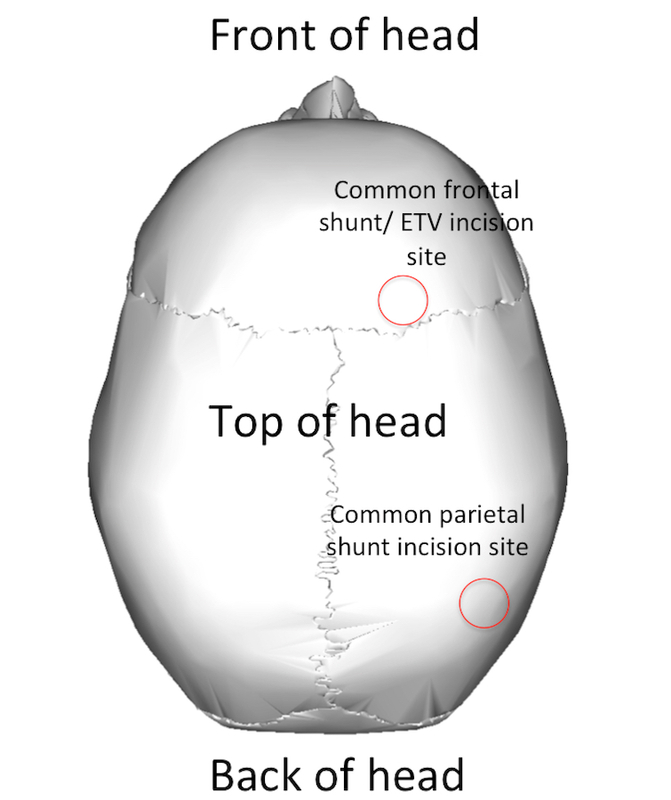 Placement of a shunt is a surgical procedure. 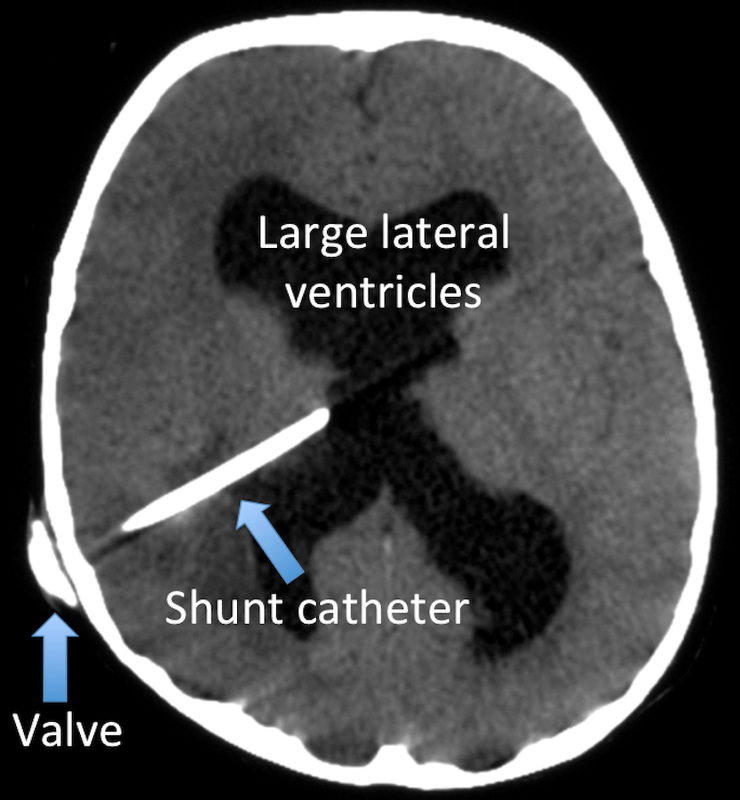 The shunt catheter can be placed into any ventricle and enter through nearly any place on the skull. 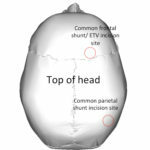 A common incision site for a shunt is either behind the ear or on the top of the head behind the hairline. 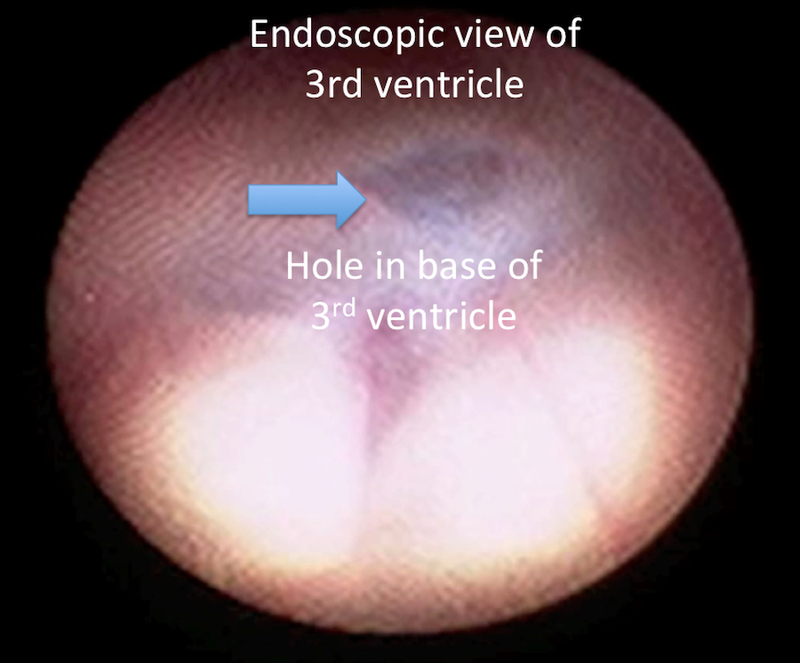 An ETV is usually reserved for certain types of “obstructive hydrocephalus”, such as aqueductal stenosis. The incision is often on top of the head and just behind the hairline. 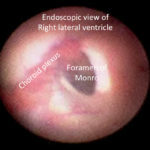 A camera is inserted into the right lateral ventricle. 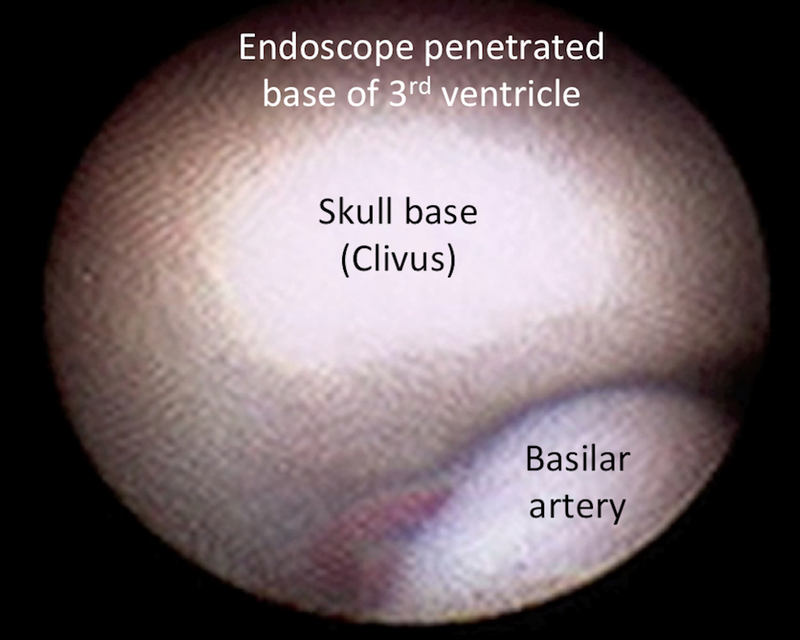 The camera is passed into the 3rd ventricle where the base of the brain can be seen. 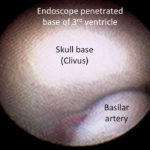 An opening is made through the base, or floor, of the 3rd ventricle and the base of the skull can be seen. The CSF from the ventricles can then exit the brain, bypassing the obstruction (small aqueduct), and otherwise circulate and be reabsorbed normally. At Rocky Mountain Brain & Spine Institute, we treat hydrocephalus. We are BOARD CERTIFIED. However, we do not always follow or revise other surgeon’s shunts or treatments for hydrocephalus. 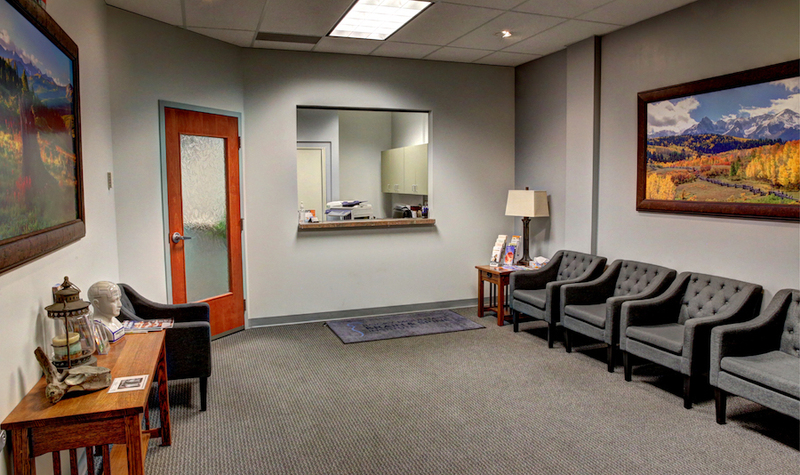 Contact us today to schedule an appointment with our experienced brain surgeon.